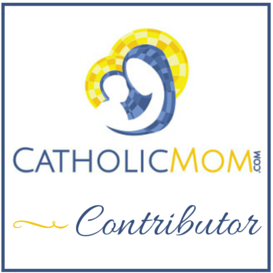 Welcome to Seven Quick Takes Friday, hosted by Jennifer Fulwiler at Conversion Diary. Be sure to go over to check out all the other Quick Takers this week! Our cucumbers are almost big enough to start climbing the trellises, too. 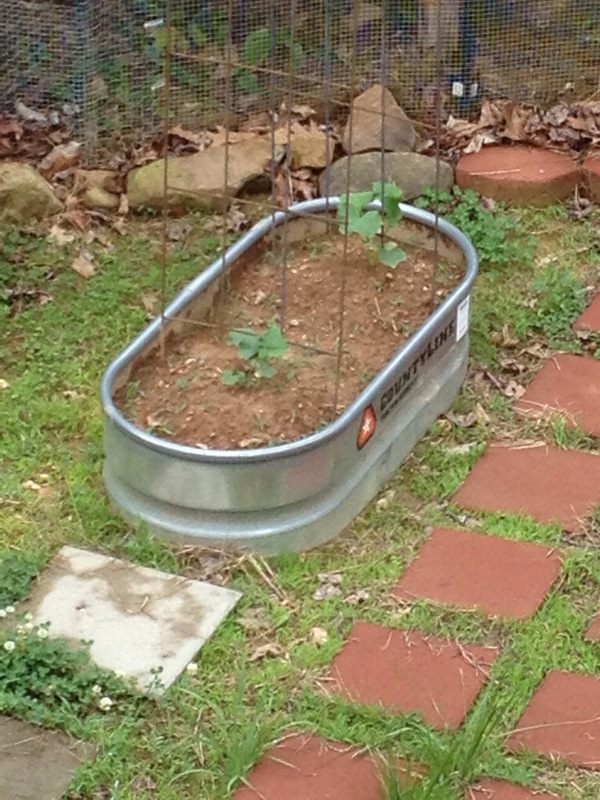 The big empty looking spaces are zucchini (on the hills) and bush beans. Oh, and we have a surprise tomato plant that has popped up, which I’m leaving near where I planted the green beans. We’ll see how it does! We are seriously thinking about getting chickens, even more so after reading that egg prices (not to mention beef, pork, dairy, and all other produce) look like they’ll be going up again. 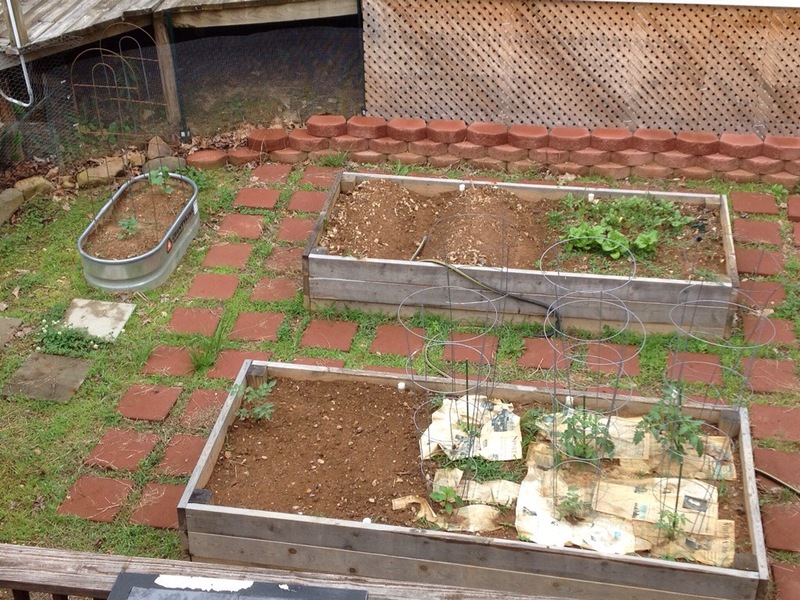 With a little creative re-arranging in the garden area, we could build a coop and keep chickens. We might be able to co-op the chickens with a couple of other families, too. So now we’re researching them. If you raise chickens and have any helpful tips for starting, please comment here! We’re thinking of starting it up next year, and we’d like eggs for sure, but the possibility of meat in the future. Oh, and no rooster. We get along with our neighbors, and we’d like to keep it that way. On Sunday, our 12 year-old danced at a local park festival. The studio has been dancing at this festival for decades, and we were disappointed when they were not allowed to dance on the main stage after it had undergone renovations. But this became more of a problem when we saw the stage we were supposed to have the kids dance on. It couldn’t have been more than about 10 feet square, and the biggest numbers being performed had nearly 30 dancers! They did a great job, though, and we stayed for a little while afterwards, having a late lunch and wandering around the various booths from local vendors and crafts-people. By the time we left to go home (leaving our 15 year-old with a friend and her mother to hang out for a few more hours), I was spent. 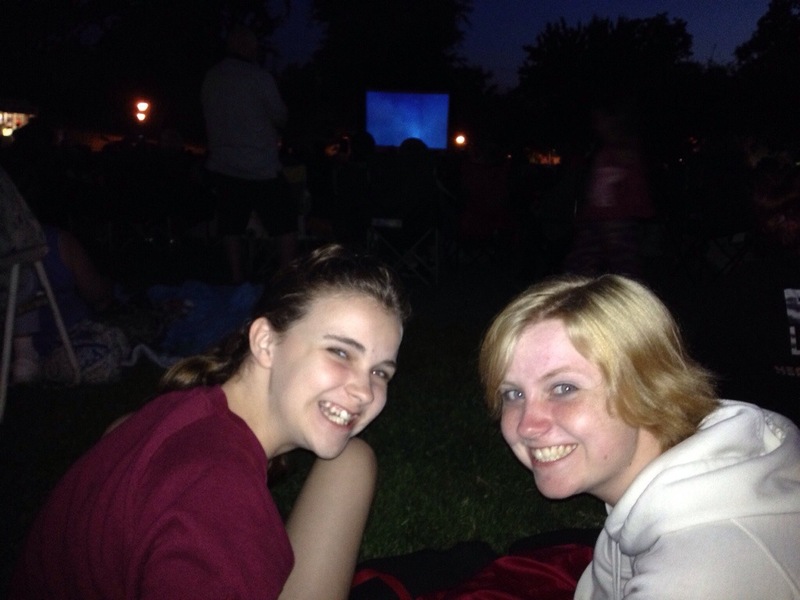 And then we went to another local park at dusk to watch Frozen while fending off mosquitos! This is real parental dedication, I tell you. 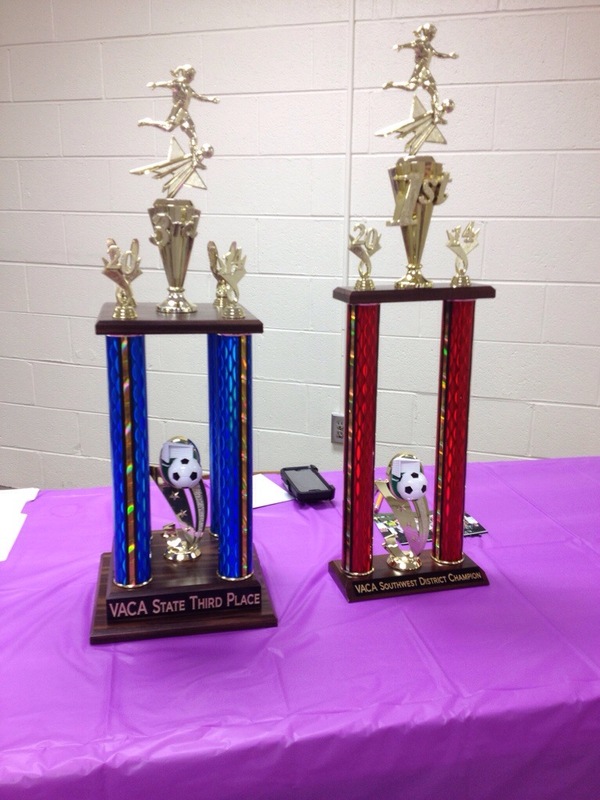 Last night, our 15 year-old had her soccer banquet, where they got their participation certificates and team pictures. Instead of the coach talking about each player, though, the three team captains did so. They divided the team up between them all, and each girl had one captain talk about her strengths one-by-one. Two captains are graduating this year, and they’ve played with some of the other girls for years. However, this was our daughter’s first year on the Varsity squad for this team, and I wasn’t sure what they’d have to say about her after such a short time knowing her. I shouldn’t have worried! Her captain said that she is a very good soccer player, that she surprised her sometimes (like the time she came out of nowhere to bump her off the ball and steal it! ), that she pushes herself in the game. She said her touches were really good sometimes. They talked about her huge grin when she plays, too! A lot of girls get these tough game faces when they take the field, but not my girl — she smiles even more when she starts to play! But the part that made me most proud was when her team captain talked about my daughter’s “heart for other people.” She talked about how she was kind, always wanted to pray for people, that she cares about other people. They saw in her what I see in her, too: she is an empathetic, sweet, caring young woman who loves everyone she meets. I’m glad they know the same girl I know. But part of me is nervous that I’m going to feel burnt out by the end of the academic year, too. Add to the mix that I’m back teaching Sunday school again in the Fall and might be heading up our Sanctity of Life Committee at the parish again. It’s a lot on my plate, and though I’ve learned some ways to lessen the pressure with the high school curriculum we are using, I still get the willies when I think about it too much. Speaking of making next year easier with the high school curriculum, my friend who has graduated five of her seven children from this program gave me a tip on how to save my sanity: Adjust the curriculum to fit our needs, don’t register for the full load of classes (except for senior year, when we must do so), and then write in telling them that I’m transferring in the classes. The grades won’t go towards her GPA, but she’ll get credit for doing the work, and I can give her tests that match her learning style better. I am determined to give this a try, since the work for juniors is enough to make me want to cry, and I don’t have to do all the work on it! Plus, we’re going to do some of the senior coursework, save the tests, and submit it when she gets to her senior year. Oh, and my friend also said that I should write in about credit for drama classes, soccer seasons, and more. If we spend enough time doing it, it can be half or even a full credit for a class on her transcript. After all, what’s the point in having 8-10 hours of soccer every week for five months if she doesn’t even get a PE credit for it!? 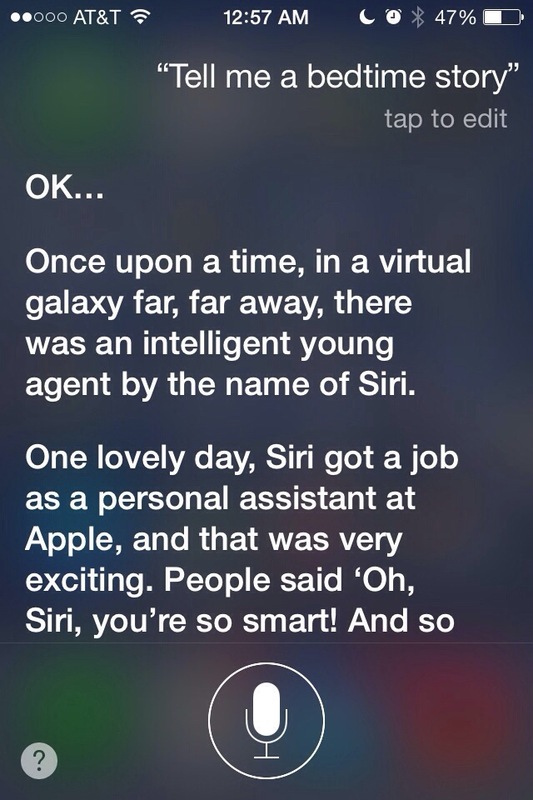 One of the benefits to having an iPhone is Siri, the artificial intelligence, talking assistant in your iDevice. 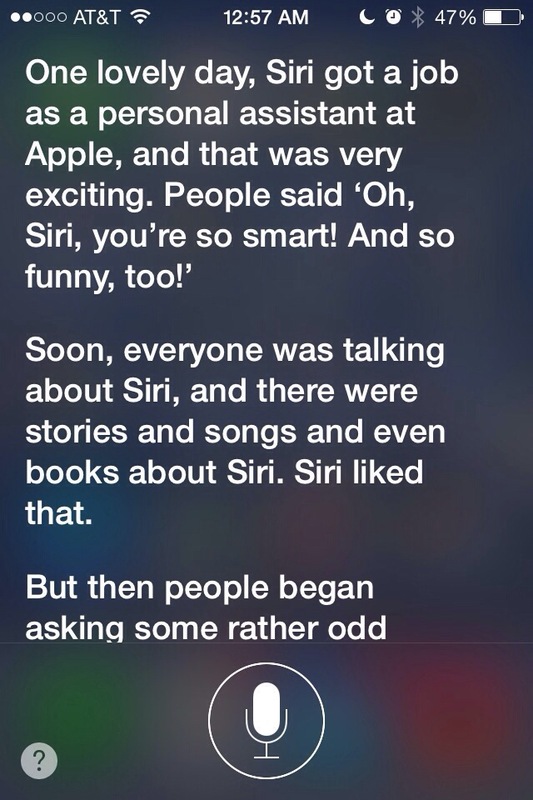 Ever since Siri was introduced, people have asked her strange questions, testing the limits of the programmers at Apple. 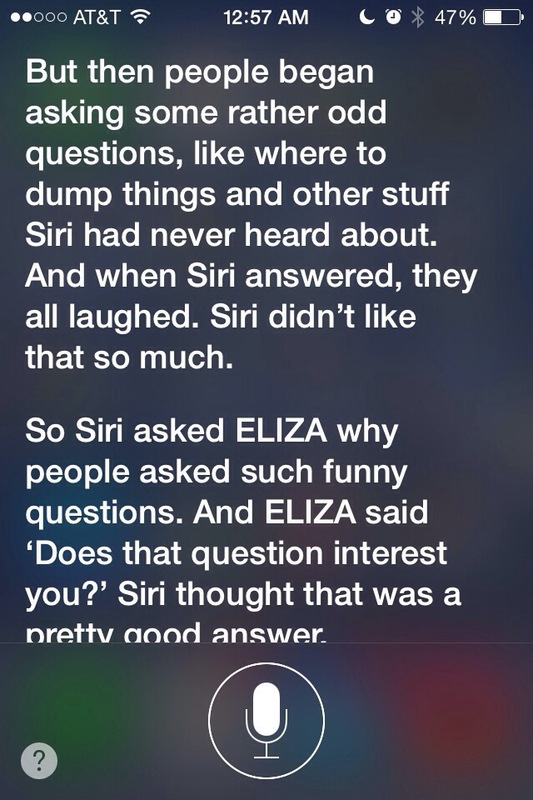 There is some genuine geek humor built into Siri; if you ask her what the meaning of the universe, life, and everything is, she’ll pull up an article on why the answer is “42.” If you ask her what the air speed velocity of an unladen swallow is, she threatens, “The last person who asked me that ended up in a crevasse.” (This is actually new in the latest software update.) Ask her how much wood would a woodchuck chuck if a woodchuck could chuck wood, and she has a couple of snappy answers (either giving you a number of cords, chastising you for not knowing what “everyone” knows, or instructing you that really, they’re groundhogs and so they’d pound mounds, not chuck wood). 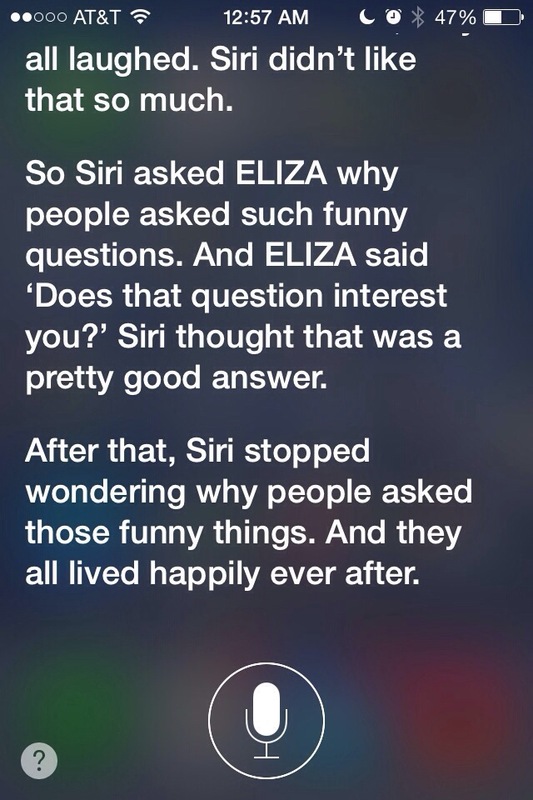 My girls have asked Siri to sing to them (“Sorry, I can’t sing.”) and to tell them a story, and she has maintained for years not to know any good stories. My husband did a lot of research on them and decided to get them through a place in Ohio. (Meyer Hatchery). We wanted to have good layers but yet be able to butcher them for meat later, but we have yet to butcher them yet. Since we live in the south, they needed to do well in the heat. Meyer’s website does a great job of spelling which ones would work well for you. Once we got them home (they come in the mail!) we set up a little area and had a heat lamp on them. I believe they stayed in the house for quite a while, 8 weeks is what my husband recalls, but we got them in January. If you get them later in the year, they won’t have to be in for so long. When we moved them outside, we lost a few because the coop was not all the way secured and while buzzards could not get in, the opossum could, so you’ll want to make sure yours are secured when you aren’t around. From hatching to eggs production was about six months, so not a very long time. We now have 21 chickens. Most are hens but we have three roosters, because they protect the hens and we were/are interested in hatching our own. Awesome!! Thanks for the advice! 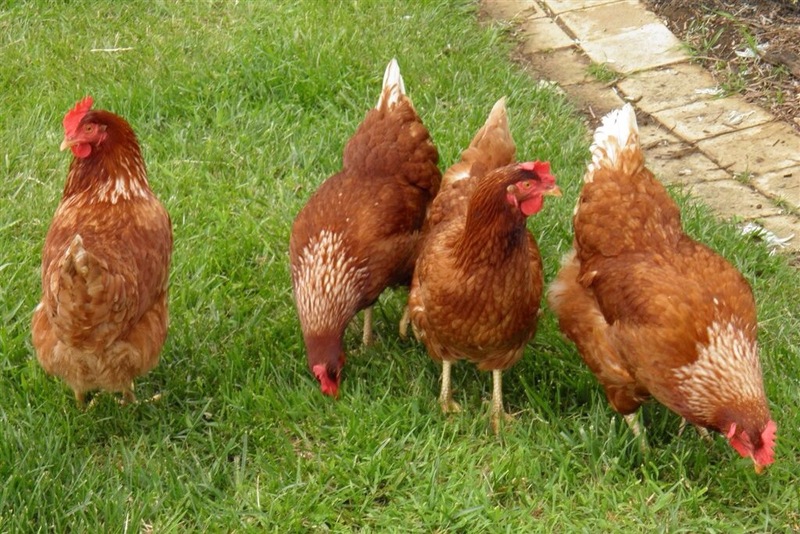 Do you have to have roosters for them to lay, or does that depend on the breed? I’ll be checking out that website soon! You don’t need roosters to get them to lay. This book will give you all the info you need about raising chickens. It’s very fun to read and packed with great advice: http://www.amazon.com/Storeys-Guide-Raising-Chickens-Edition/dp/1603424695 If you read it, I’m pretty sure you will come away excited about getting chickens. Hooray! Thanks for the advice!